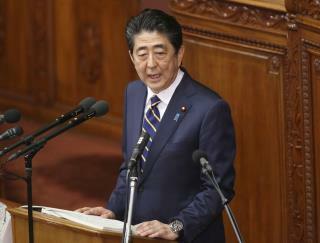 (Newser) – Prime Minister Shinzo Abe stood before Japan's parliament Thursday and said the government had failed a 10-year-old girl. Mia Kurihara was found dead in the bathroom of her home near Tokyo last month, and both her parents are now facing charges. An autopsy didn't reveal a cause of death, but the girl was bruised, reports the Guardian. She'd been removed from her father's custody a year earlier after noting on a confidential school questionnaire that he "wakes me up in the middle of the night and kicks and beats me." School officials gave a copy to Mia's father, Yuichiro Kurihara, who is believed to have pressured the girl to recant the report, reports the Japan Times. She did so, and Mia was back home after seven weeks. Kids got it rough in Japan. They study too much. Then some are abused. No wonder the high suicide rate. Jesus CHRIST. The kid describes the abuse and they run straight to her abuser and tell him!! They should never sleep again, for the rest of their stupid lives. Same thing happens here in the US. How many children have been returned to abusive parents later to be found fatally injured or dead. An abusive parent will always be abusive. Stop putting these children back in their custody to “preserve” the family. Ain’t gonna happen. Hundreds of children have died from abusive parents. It is time to protect the child not the parent.